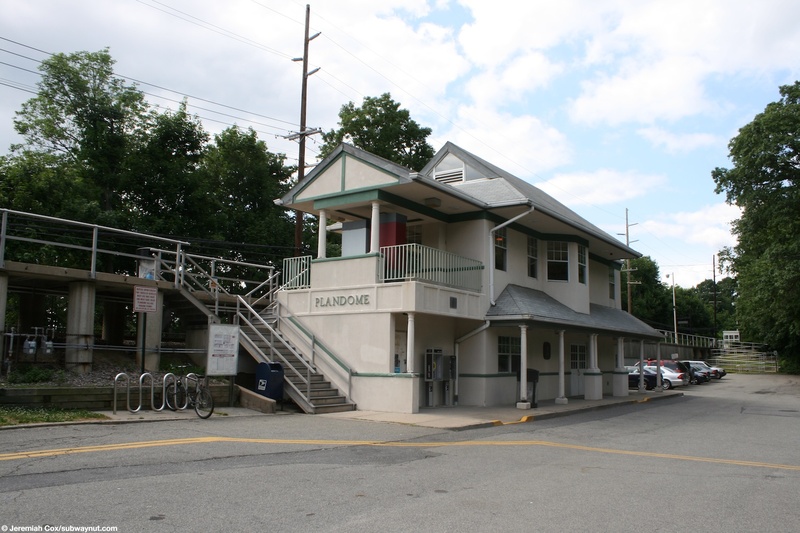 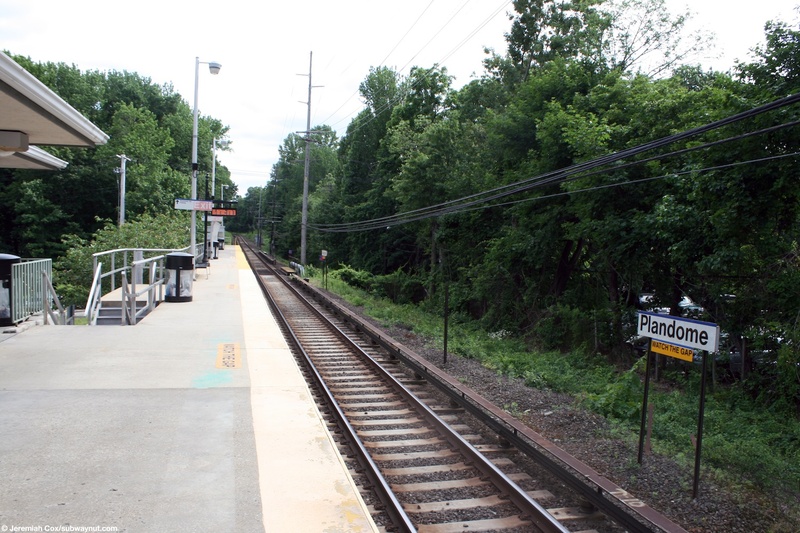 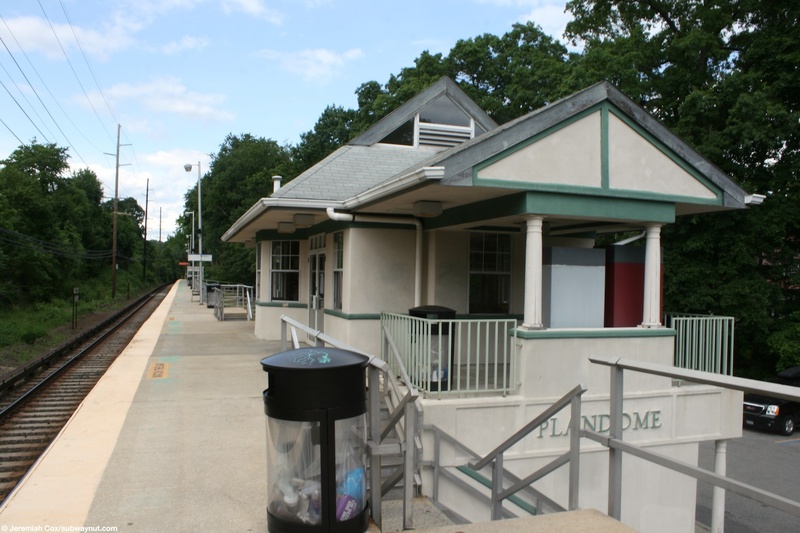 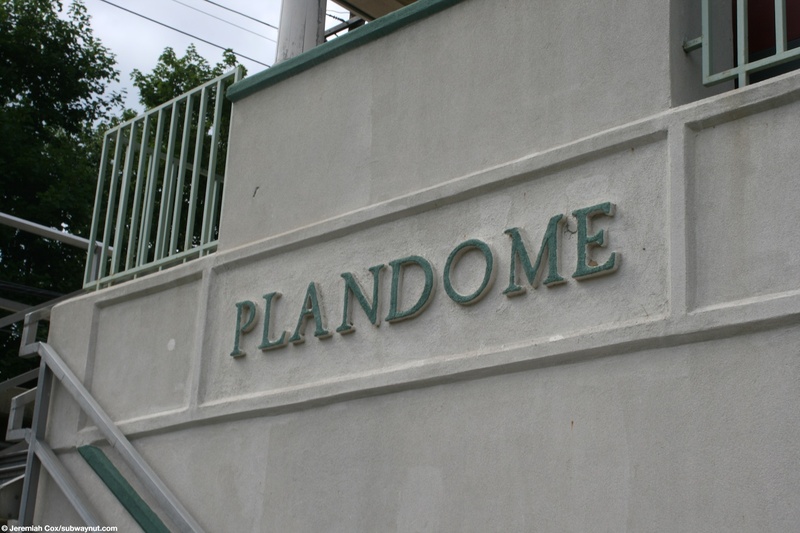 Plandome Station is located in the leafy suburban village with the same name and the stop severs as a bit of a village center (although there are no shops) with the post office situated in the bottom level of the two-story station house that was rebuilt after a fire set by Vandals in 1987. 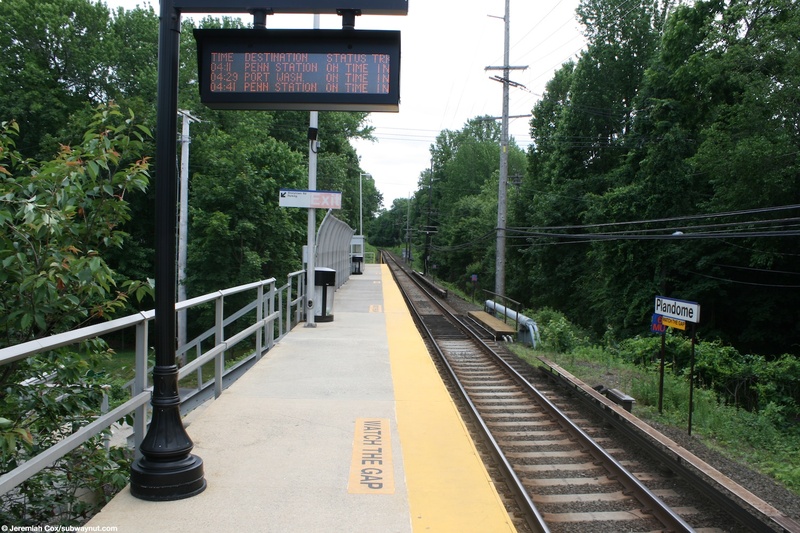 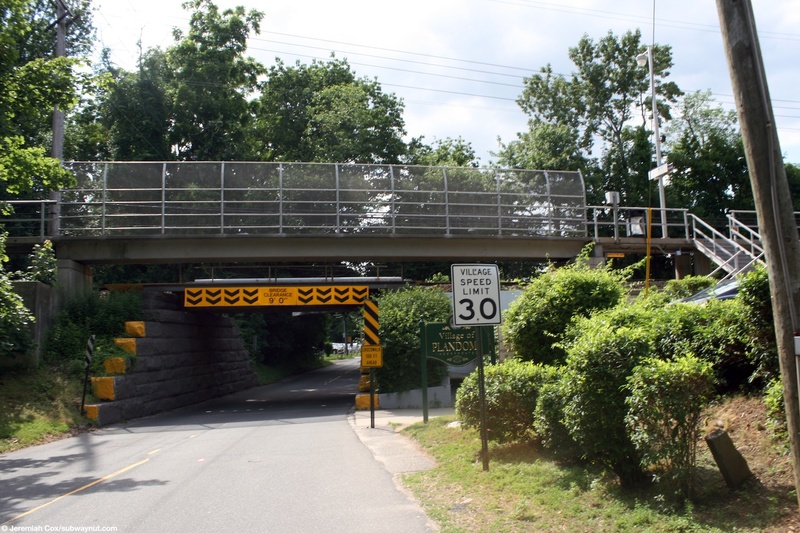 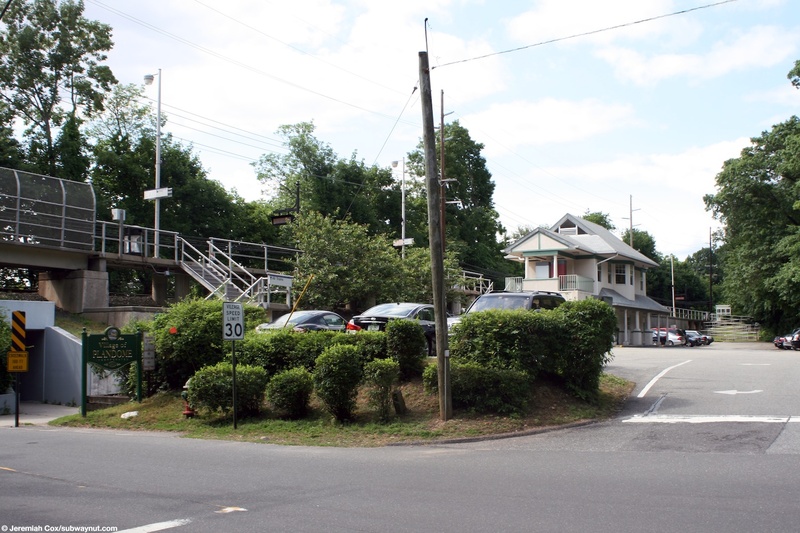 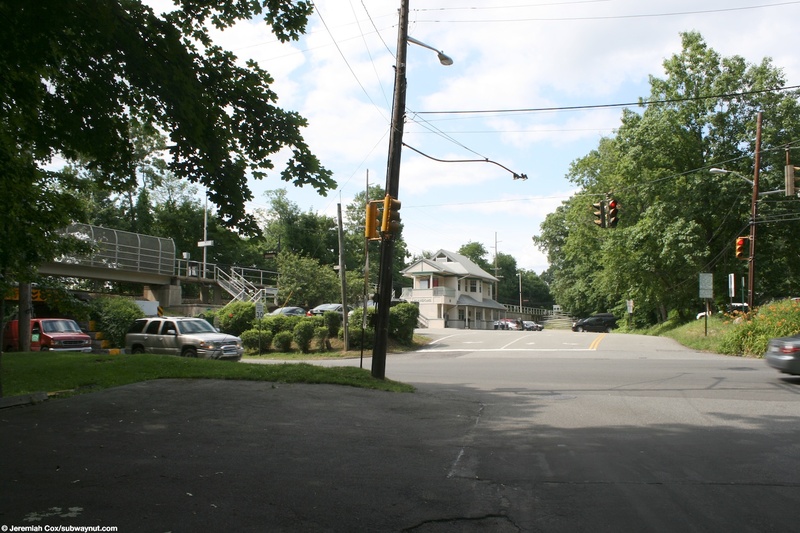 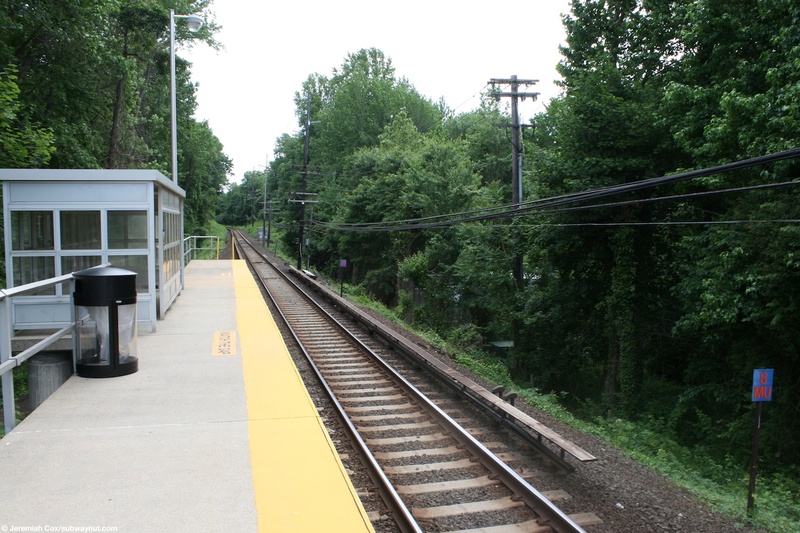 The stop is located on the lines single-track portion and over a stone bridge across Stoneytown Road (only a 9 foot clearance). 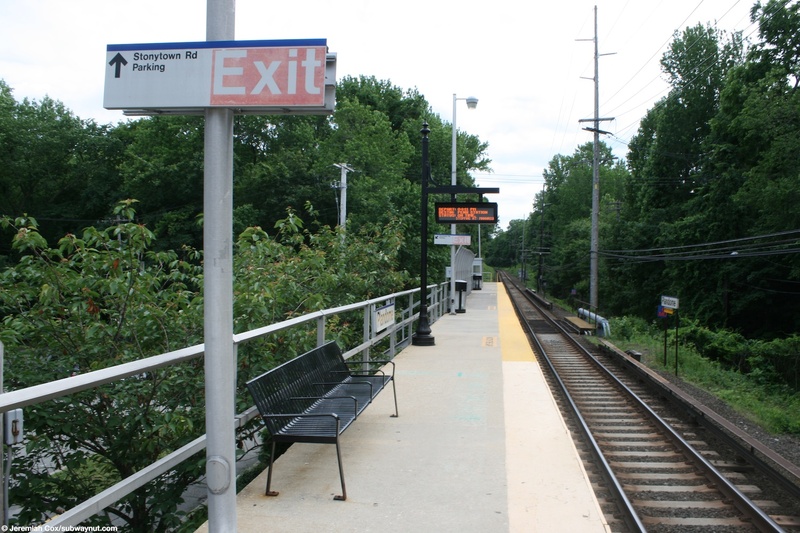 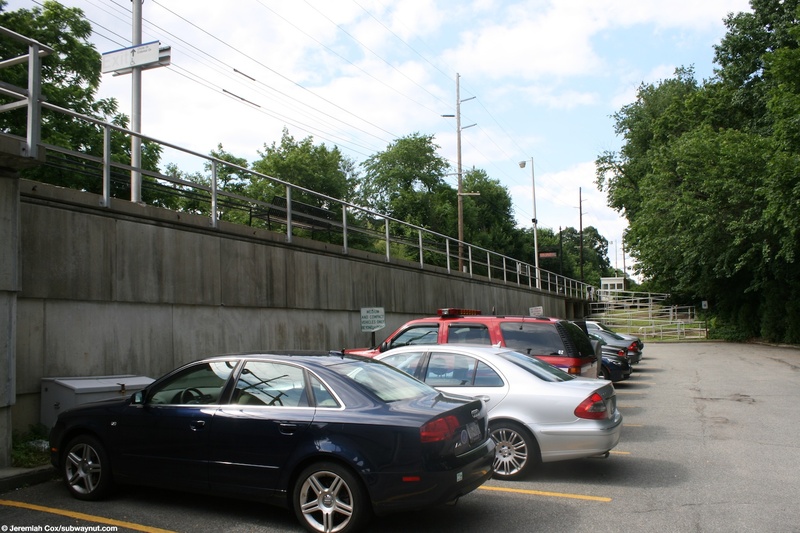 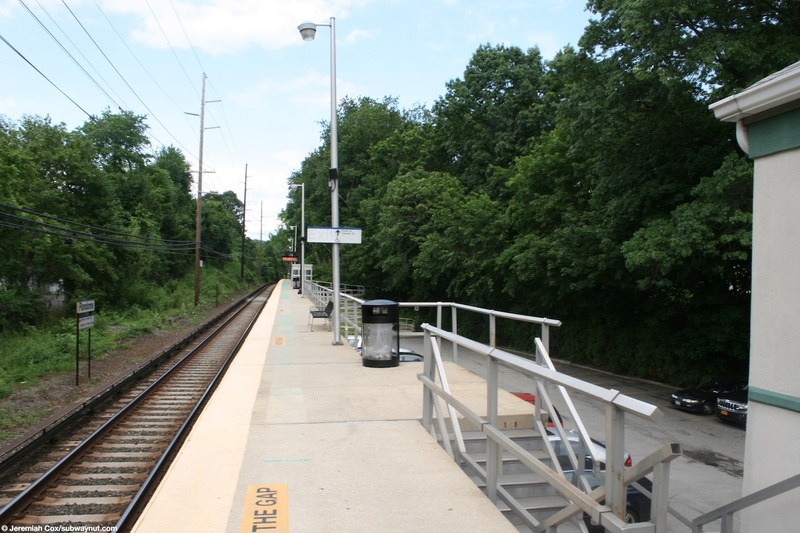 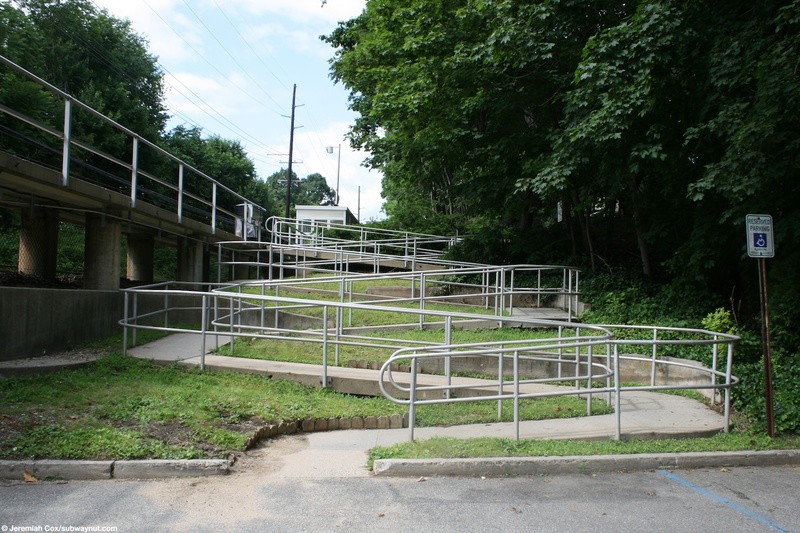 The narrow platform crosses this bridge but all station access is on the east side of it where the parking lot is and two staircases and long maze-like ADA ramp lead up to the platform, at the top (almost at platform level) of the ramp there is an exit to a pathway out to Circle Drive (labeled as railroad entrance walk on Google Maps) that has a stern warning that the Village Code of Plandome Manor requires that the walk be used by pedestrians only and all vehicle access (like pick up and drop off) must utilize the station parking lot. 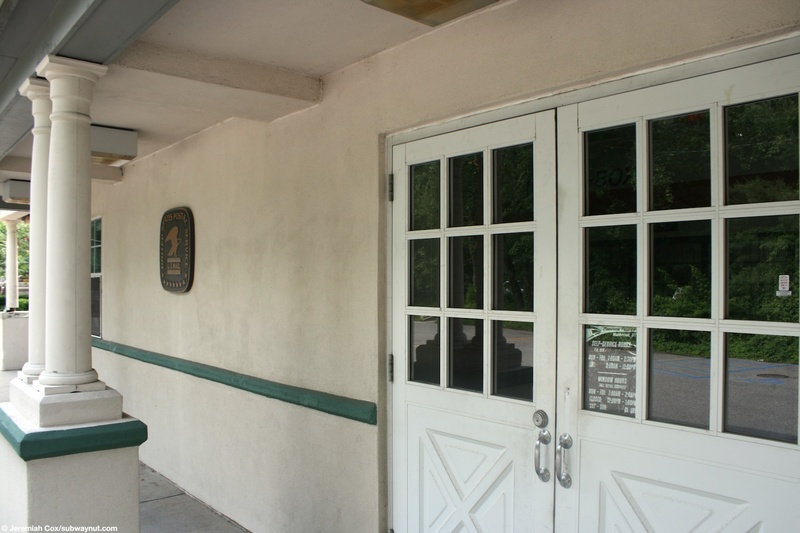 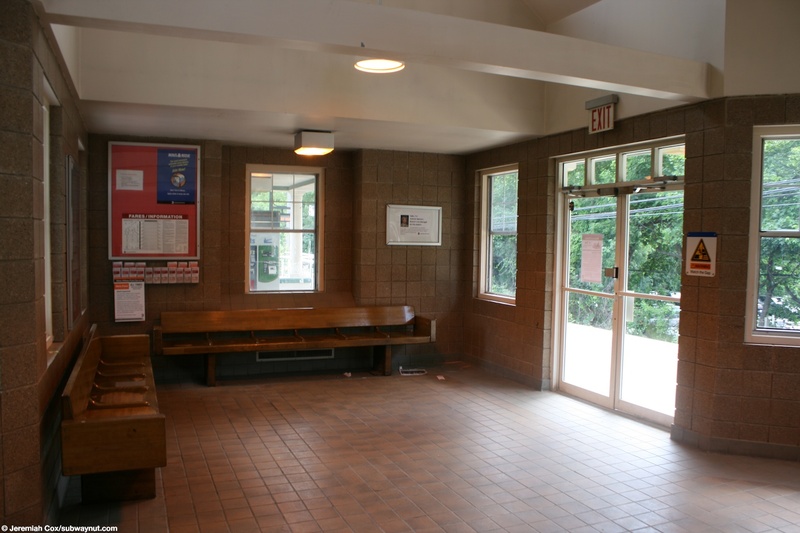 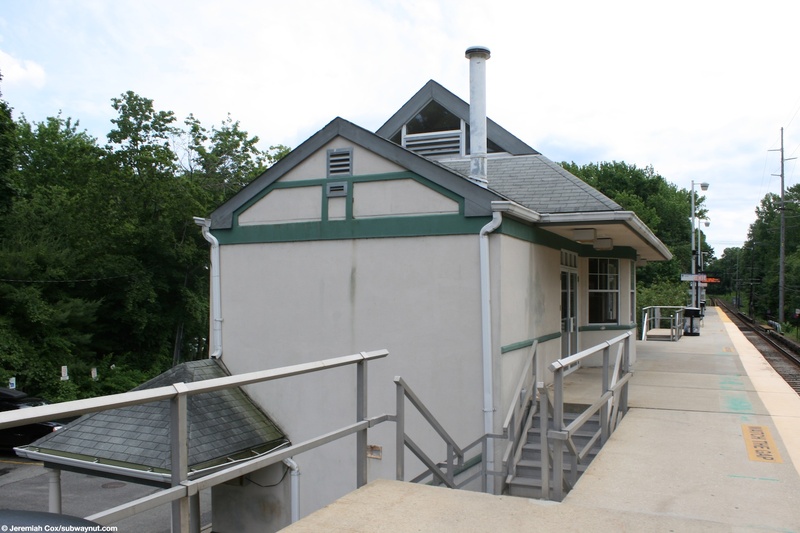 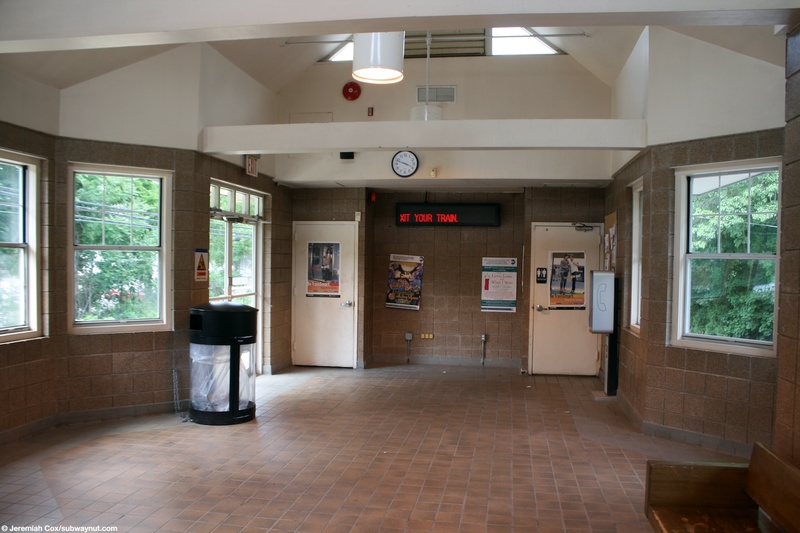 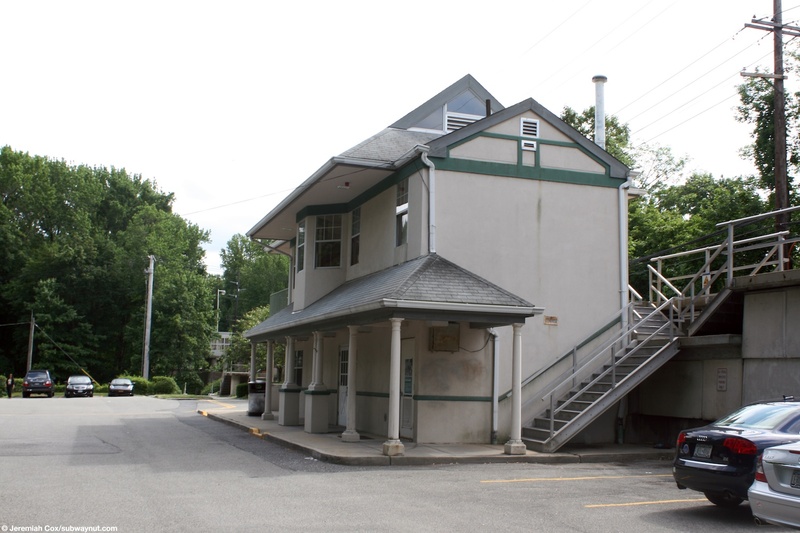 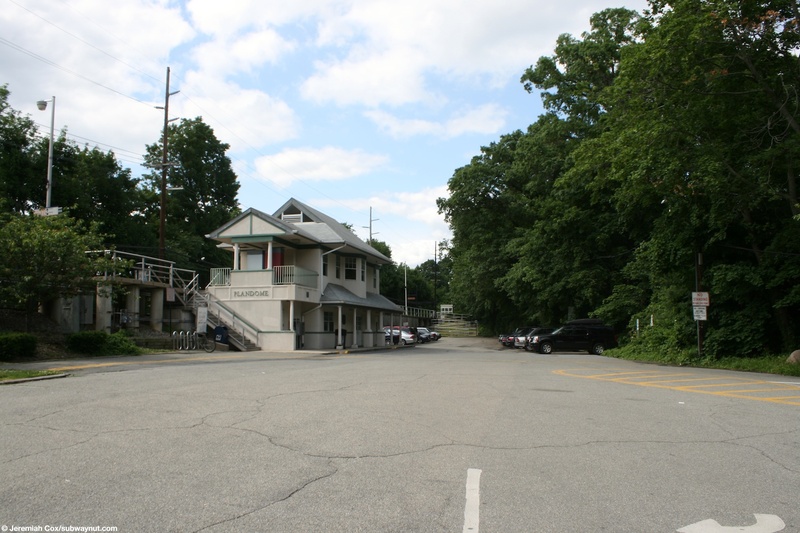 The platform has a decent sized waiting area in the station house above the post office (with no interior staircase connecting the portions), accessed only from the platform, and at both its ends two of the silver shelters typical of so many LIRR stations, those are the only amenities. 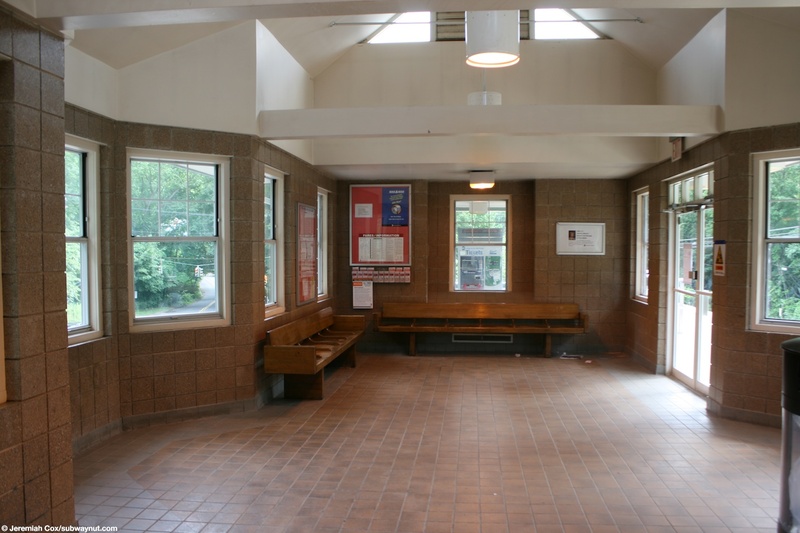 The station has a lone TVM along the platform right outside the station house.